A passenger on tweeted the image of a paper cup and it went viral, forcing the Railways to withdraw such cups and also penalise the contractor. 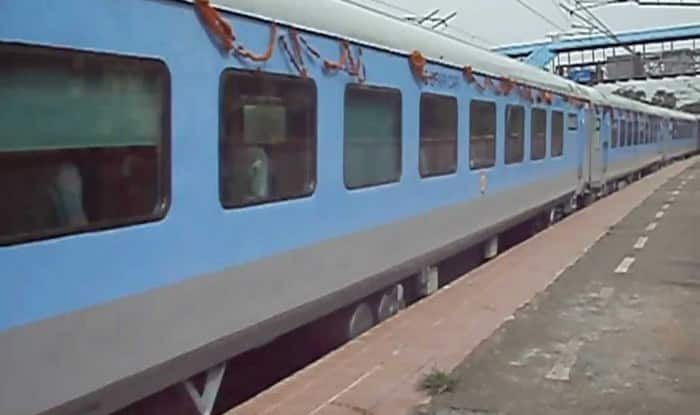 New Delhi: The Railways was caught on the wrong foot with passengers complaining that tea was being served in paper cups with ‘Main Bhi Chowkidaar (I’m also a watchman)” written on them, thus violating the Model Code of Conduct. A passenger on Kathgodam Shatabdi tweeted the image of such a paper cup and before one knew, it had gone viral, forcing the Railways to withdraw such cups and also penalise the contractor. The passenger claimed that tea was served in these cups twice. The advertisement on the cup was by Sankalp Foundation, an NGO. This issue comes days after the Railways was caught for a similar violation; it was issuing tickets with Prime Minister Narendra Modi’s pictures on them. Later, the Railways had said that it was an “unintentional and inadvertent mistake”. “Reports that tea has been served in cups labelled as “main bhi chowkidar” have been investigated. This was without any prior approval of IRCTC. An explanation has been sought from supervisor/pantry incharges over dereliction of duty. “A fine of Rs 1 lakh fine has been imposed on the service provider. A showcause notice has been given to the service provider for this misconduct,” an IRCTC spokesperson said. Only a couple of days ago, the Election Commission of India has written to Railways and Ministry of Civil Aviation asking why the picture of PM Modi had not been removed from the tickets and boarding passes despite the Model Code of Conduct. The authorities were asked to reply within three days, ANI reported. Earlier, Air India had withdrawn boarding passes bearing PM Modi’s and Gujarat CM Rupani’s pictures after the issue stoked controversy on social media. This happened after ex-Punjab DGP Shashi Kant tweeted about the same.